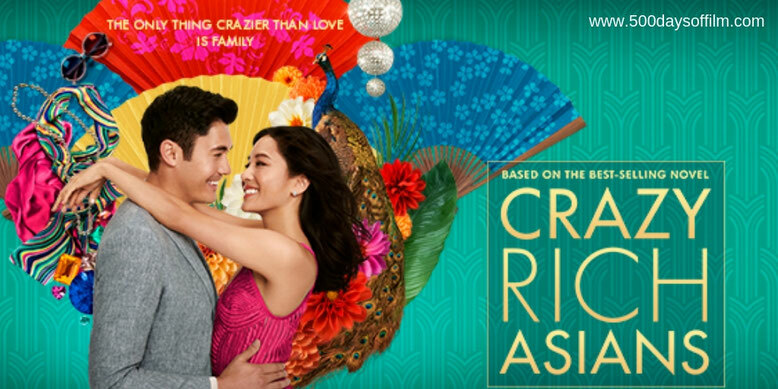 When New Yorker, Rachel Chu (Constance Wu), accompanies her longtime boyfriend, Nick Young (Henry Golding), to his best friend’s wedding in Singapore she is excited about visiting Asia for the first time and also nervous about meeting Nick’s family. However, Nick has neglected to mention a few key details about his life. Not only is he the scion of one of the country’s wealthiest families, but also one of its most sought-after bachelors. Being on Nick’s arm puts a target on Rachel’s back, with jealous socialites and, worse, Nick’s own disapproving mother (Michelle Yeoh) taking aim. Adapted from Kevin Kwan’s best-selling book, Crazy Rich Asians is an entertaining and surprisingly moving rom com from director Jon M. Chu. Constance Wu gives a charming and engaging performance as fish out of water / cinderella character, Rachel Chu. Wu conveys the lighter, comedic elements of the story and the deeper, more emotional scenes with ease. Meanwhile, Michelle Yeoh is brilliantly austere as Eleanor Young, the mother of Chu’s boyfriend, Nick. Both actors are joined by an impressive supporting cast. Henry Golding is endearing as Nick Young and Awkwafina is an eccentric screen-stealing stand out as Rachel’s good friend, Peik Lin Goh. The scene thus set, there is much fun to be had in following Rachel as she enters Henry’s incredible world of crazy rich Asians. While there are many funny moments, Crazy Rich Asians is more interested in its central romance than in delivering wall-to-wall laughs. Even so, the romance, while engaging, is fairly predictable. Chu’s movie adds little that is new to the rom com genre. However, hidden depths lie beneath the surface of this blinged-up love story. For a start, we are never invited to covet or particularly admire the wealth on display. The film’s emphasis is definitely on the craziness of the riches that we are seeing. The cars, the clothes, the homes, the parties - while stunning - are all viewed with a rather skeptical eye. Crazy Rich Asians is also interesting (and refreshing) in the way that it focuses more on the inner lives of its female characters than on the tired rom com “how to get your man” trope. Indeed, the movie is at its strongest when exploring the culture, customs and changing beliefs of generations of strong and powerful women. In addition, Crazy Rich Asians is an important film from a cultural perspective. It is wonderful to see another culture being represented in this story - rather than a typical all white, American tale. I loved the scenes exploring Chinese culture and would have welcomed many more. If you are thinking that this is a lot of weight for a romantic comedy to carry, you would be right. However, Chu makes his film work - on both levels - making Crazy Rich Asians one of the best romantic comedies to hit cinemas in quite some while. Have you seen Crazy Rich Asians? If you have, what did you think of this film? Let me know in the comments section below or over on Twitter. You can find me @500DaysOfFilm!